Posted by jeffrooney in Muscle and Joint Pain, Pain Relief, Posture Alignment Theray. Well it takes a new year to get to things sometimes. I am happy to announce my collaboration with a new effort in the promotion of posture alignment therapy that is aimed at getting it out of the closet! Welcome to PTX Therapy! This is a project that was years in the making and specifically the brainchild of John Lemme and his cohort in the enterprise Carol Gamboa. 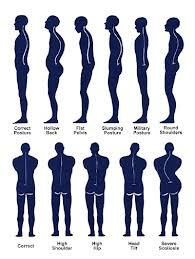 All of us who have studied to be posture therapists just plain want to see this out there more. We know first hand, in my case over a ten year span, of witnessing countless people overcome many painful maladies with their own efforts with the guidance of this therapy option. This effort with PTX has two components. One is already familiar with those who have embraced posture alignment therapy from therapists trained under the Egoscue Method umbrella. This is one on one therapy where the therapist guides a client to reach their goals in overcoming muscle and joint pain to resume an active life. The other and new component is called PTX Virtual Therapy and this is a very inexpensive web based platform that many individuals and companies are embracing as a way to access this unique approach to resolving musculoskeletal problems with individualized exercise therapy. It treats the whole body, gets at the underlying structural cause of pain and allows for simple updating of condition and getting new routines til goals are met. I invite you to try it for yourself. Give it a go and let me know how it works for you. As always I am available for one on one sessions at my office, your home or by Skype. Now you have new options for getting aligned, out of pain and ready to embrace this new year!